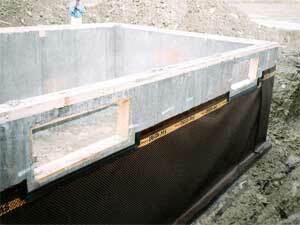 provides a wide range of waterproofing systems for new construction. The concept is to ensure the foundation and your basement, stays dry! Why install the minimum protection, which has proven to leak so many times before, when you can have a guaranteed dry basement, from the very start? Protecting the foundation system during construction is just plain smart! 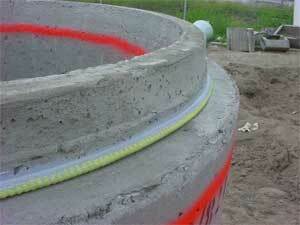 We are the certified installers of the Delta-MS and Delta-Drain membranes, as well as the De Neef line of Waterstops. We are the ONLY Certified Delta-MS Installers on Vancouver Island! View our Delta-MS Certification! For a free, on-site inspection and quote, contact us by phone or e-mail today! We proudly serve Vancouver Island, British Columbia, including Victoria, Nanaimo, Saanich, Campbell River, Duncan, Courtenay, Langford, Squamish, Esquimalt, Port Alberni, Comox, Central Saanich, Cobble Hill, Qualicum Beach, Parksville, Powell River, Sidney, North Sannich, Sooke, and many surrounding areas! Click below to download the Watchdog® brochure and specification list. 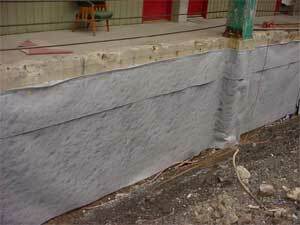 The Watchdog® waterproof membrane provides complete foundation waterproofing and sealing in a durable, effective product. This system can be used to bridge cracks, eliminate leaks, and withstand significant water flow in order to protect your basement or crawl space walls from flooding. Island Basement Systems specializes in installing the Watchdog® waterproofing system, and we can help you get a complete waterproofing solution for your home. Our experts will evaluate your home and recommend the best solutions for your needs. Call us today to learn more!